TheThaiLife.com (ENG) – British expat’s popular blog about life in Thailand which would be interesting for travelers as well as expats. Lessons of Basic Thai Language. Pattaya-Addicts.com (ENG) — the most popular expat’s discussion board of Pattaya. More than 40000 registered users. 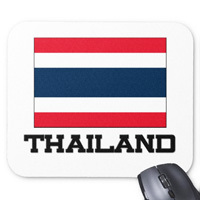 ThaiVisa.com (ENG) — english-speaking expat’s of Thailand community forum, classifieds, database of hotels, guides of main country’s tourist attraction places, Thai cities and provinces reviews. BangkokBusinessBrief.com (ENG) — Thailand business news.